2016 was quite a year. A best performance at the Olympics for over a century, an outstanding medal haul at the Paralympics and an equal best ever showing at the European Junior Championships, combined with a growing sense of depth in the sport, made it a year to remember. Here are those we feel are sitting at the top of a very tall tree. Frankly who else could it be? It might be considered too obvious that Adam Peaty takes the top male gong for a third consecutive year, but there really isn’t another decision that could be made. 2016 was the year that Peaty made 100m breaststroke unquestionably his own; he won the European title with ease while in heavy training then went to the Olympics and simply blew his rivals away. In the lead up to the 1992 games, Adrian Moorhouse, the defending 100m breaststroke champion of course, spoke about the mental battle, about how he wanted to break a world record in the heats to let his rivals know he wasn’t giving up his title. The record book shows that it didn’t work out for him that year, but the approach was that taken by Peaty in Rio as he demolished his world record in the heat to move almost a second faster than anyone else in history. It sent a message to his rivals and was probably the moment that banished any doubt that they really were racing for silver. His 57.13 gold medal winning time represented a quantum leap and he backed it up with the most absurdly brilliant split of 56.59 in the medley relay. Jaws were dropping everywhere. The only question is where can he go now? 56 in the 100 is an obvious, and bizarrely achievable, aim but the 200m event has significant potential – could he crack 2:07? Is 2:05 a target? One thing is for sure, Peaty is now big time. 2015 saw a battle between Siobhan Marie O’Connor and Jazz Carlin in this category and 2016 is no different. And at the end of the day neither is the outcome with the Welsh swimmer edging the decision once again. Carlin had a great year with two silver medals in Rio, won with some great racing. It can’t be easy racing someone with the dominance of Katy Ledecky knowing you are essentially racing for silver, but Carlin handled the situation with aplomb. The 400 freestyle saw a lifetime best in the final, while the 800m was a fine example of race craft – letting Ledecky get on with it and instead sitting on the field to ensure a second placed finish and a further podium visit. Honourable mentions are due to O’Connor (but more of her anon) and Molly Renshaw who ended the year with the World Short Course title over 200m breaststroke. This possibly could have been a straightforward decision. 57.13 or 56.59 were both numbers that made everyone look twice at the scoreboard courtesy of Adam Peaty and either could have been a winner in this category. But in some strange way, and however brilliant they were, they were almost expected as Peaty has been so consistently excellent. What wasn’t expected perhaps was the 2:06.88 dropped by Siobhan Marie O’Connor on her way to 200IM silver in Rio. Coming into the meet her lifetime best stood at 2:08.21 and only two swimmers in history had dipped into the 2:06 range – one wearing a full poly super suit. So while we all thought silver was a distinct possibility based on form, and results in Kazan last year, the time on the clock was a shock, as was the short gap to gold. Although maybe it wasn’t such a shock to eventual champion Katinka Hosszu who had withdrawn from the 200m butterfly to focus on subduing the Bath swimmer. Before the games O’Connor had spoken of the work she was doing on the little things and how she needed to get all of her medley elements firing together. That she did in Rio with a superb swim. 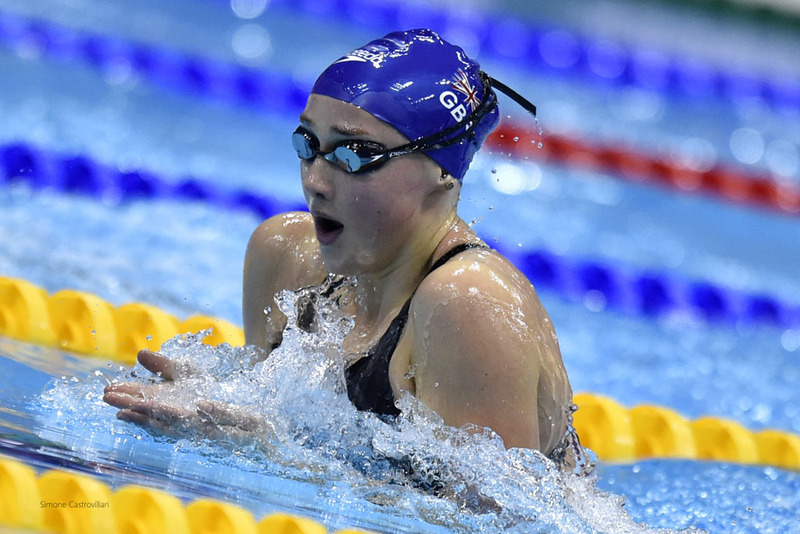 Chloe Tutton, the swimmer from City of Cardiff, has had quite a 2016 season. She entered the year with a 200m breaststroke PB of 2:26.76 which she had slashed to a world class British record of 2:22.34, by the time Olympic trials were over. Add to that performance bronze in the 100m at the European Championships and in the 200m at the World Short course championships and of course a fourth placed finish at the Olympics and it has been a fantastic debut season in senior British colours. Tutton lost her British Record to Molly Renshaw in the Olympic semi-finals, and their rivalry look set to push them both on to greater things in 2017. It says a lot about the potential that exists in British Swimming right now that there are many contenders in this category. Duncan Scott blasted his way to the top echelons of freestyle sprinting, picking up two Olympic silvers, and Max Litchfield swam to fourth in the 400IM in Rio, while Kathleen Dawson came from almost nowhere to European bronze over 100m backstroke, those three all being worthy of mention. An honourable mention goes to Freya Anderson who took European Junior Gold in the 100m freestyle in a rapid 54.72 and set a string of fast short course times in Ontario. It’s fair to say that the open water events didn’t go to plan in Rio as far as Britain’s was concerned with Jack Burnell controversially disqualified and Keri-Anne Payne locked out of the final medal showdown in the closing stages, but a few weeks before the team had put together a good showing at the European Open Water championships in the Netherlands, led by a maiden international title for Danielle Huskisson. 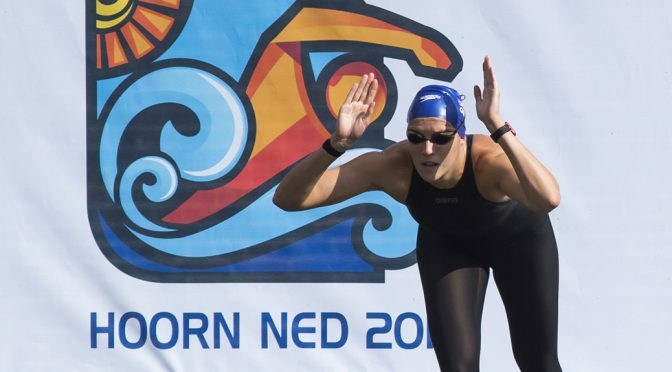 Huskisson had come off a strong season in which she had swum her way to an Olympic qualification finish earlier in the summer, only to be locked out on the one per nation rule with Payne ahead of her in the standings. She got over that disappointment in Hoorn, however, racing to gold in the 5km time trial, ahead of Sharon van Rouwendaal in silver who would go on to win the Olympic gold. You can hear what Danielle had to say about her win in the video below. The British Paralympic swimming team took the baton from their Olympic counterparts and certainly delivered on their promise with 47 medals kicking them on from the tally they had amassed in London, for third in the medal table. 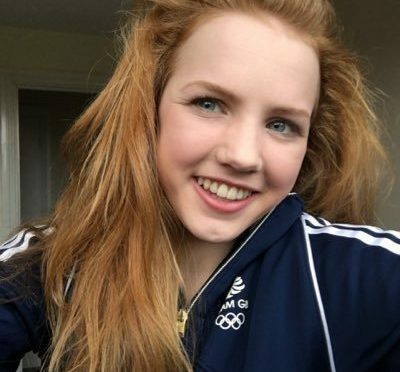 At the vanguard of that performance was Bethany Firth whose personal tally comprised three gold medals and a silver, all of which were secured in individual events and several in record times. The Ulsterwoman successfully defended her S14 100m backstroke title, won while representing Ireland in London, with a world record, and added Paralympic records in the SM14 200IM and S14 200m freestyle. Silver in the SB14 100m breaststroke completed her haul. Honourable mentions are due to Stephanie Millward with 5 medals, including 2 golds, Ollie Hynd who set world records in the S8 400m freestyle and SM8 200IM amongst 3 medals.